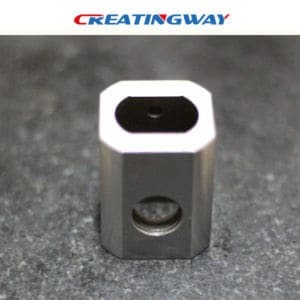 Creatingway is a leading precision CNC Machined Service manufacturer in China who offering an array of Metal and plastic precision cnc machined service, metal fabrication, Laser cutting, high precision prototype making (SLA&SLS process), tooling and low volume production. We can offer full service and precision machining services for our customers from all the over world and win excellent reputation. CNC machining is being widely used for the production of complex metal widgets. It can be done on a wide variety of material including plastic,metal, wood and titian etc special material without molds. Certainly, it is also a fast process and can be repeated over a many times in the exact same manner. 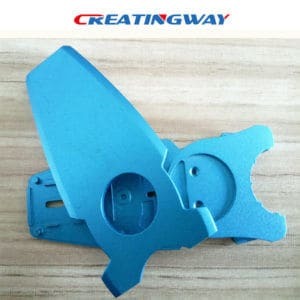 It utilizes the whole raw material, no room wastage, which minimizes the loss, make your different physical parts, the lead time is very shorten than casting and molds, so you can quickly get samples for testing out. Creatingway serve a range of industries with our state-of-the-art CNC machines and excellent management. It is no limited to just metal and plastic industry, also included electronic, appliances and medical etc., No matter what it is small or big size, or you want to create new products, or repairing orders or remodel existing products. All of these services, Creatingway can offers you best support. Affordable price and premium quality. Tolerance control down to 0.001″. Reply you in 8 hours and quote you in 24 hours. We provide own unique machining options for your projects. From design, material forming, to machining production. We are dedicated to highest quality and exploring every ways to ensure product quality and delivery time shorten. With continuous improvement and innovation, from new RFQ TO delivery. We strive to get high quality parts to your fastest.